If we’re being totally honest here, we all know that one of the best parts of picking your favorite form of fitness is stocking up on all of the swag that comes with it. Running gear is no exception. If you’re going to put your body through the wringer, you might as well invest in the good stuff to support it before, during and after. Below are nine surprisingly underrated products that runners need in their lives. This little guy is a miracle worker for tired, sore feet — especially if you struggle with plantar fasciitis. And it tends to your hands, back and shoulders just as well, relieving any aches and pains you have by stimulating acupressure points across the body. Recovery never felt so good. Every distance runner knows the unbearable pain that is chafing… until they discover BodyGlide . It comes in stick form (like deodorant) or cream form, and it does an amazing job of protecting the areas that experience the most friction when you’re running, like your inner thighs or arms around your sports bra straps. It’s unscented, sweat-resistant and goes on easy. This balm is of the gods. Move over, Gatorade. There’s a new electrolyte hydration option in town and it goes by the name of NUUN. These little tablets come in a convenient tube container and immediately activate once you drop them in water. (They’re reminiscent of Alka-Seltzer.) The result is a tasty, fizzy beverage packed with electrolytes, skipping all of the sugar and bulky packaging most sports drinks use. Say goodbye to your shoes coming untied mid-run and the extra length of your shoelaces popping up and smacking you in the ankles constantly. You can cut these laces to fit your pair of sneakers seamlessly, and then they snuggly clasp in place. So you can forget all about your shoe security and run with peace of mind. Plus, they come in so many fun colors! These lightweight towels feel incredible after a hot run in the sun, and the best part is that you don’t need to refrigerate them at all to enjoy their cooling effect. They are designed to chill instantly upon contact with water, so you can feel immediate relief on your neck and face. And when they’re dry, they absorb moisture perfectly. 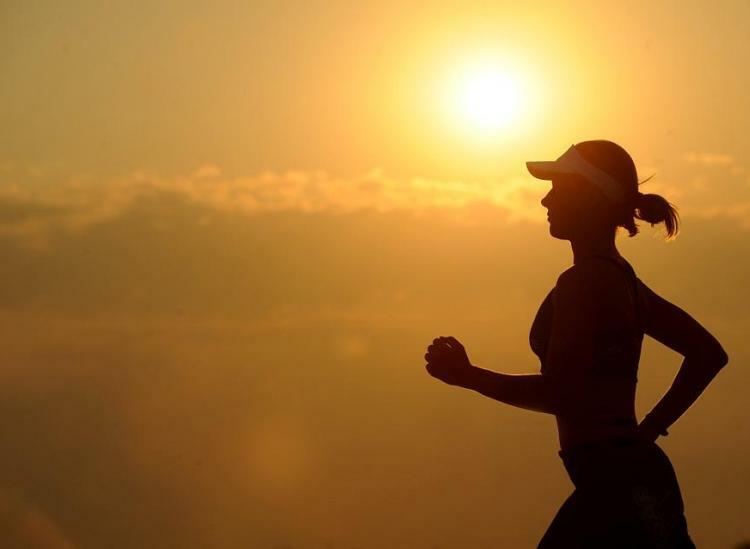 With all those hours spent slogging through direct sunlight, runners definitely need to be equipped with some sweat-friendly SPF and protect their skin from harsh rays. Neutrogena’s UltraSheer Dry-Touch formula provides the necessary coverage without feeling greasy or melting off your face and into your eyes when you sweat (ouch). Here’s to a great workout and healthy skin! Runners pack light, but they still need a sleek, secure place to store their keys, lip balm, cell phone, ID and more. The FlipBelt fits snuggly around the hips without feeling too tight or uncomfortable, and it prevents that annoying jostling feeling that a lot of similar products create. And because it’s small, it works with any running attire — hot summer day tank tops, cold winter wind jackets and everything in between. No pain, no gain, right? Pounding the pavement for countless miles often comes with its fair amount of muscle soreness and joint pain… and the occasional injury or two. So having a durable-but-flexible sports ice pack on hand at all times is key. We like this one because it works for pretty much any area of the body that’s crying out for some cryotherapy. Last but not least, runners need to stay safe when they’re out on their favorite streets and trails. This miniature pepper spray canister was designed with runners in mind, providing an easy, slip-on hand grip just in case you’re confronted with an unpleasant surprise and aren’t given much time to react. Just grab and go, and keep an eye out.